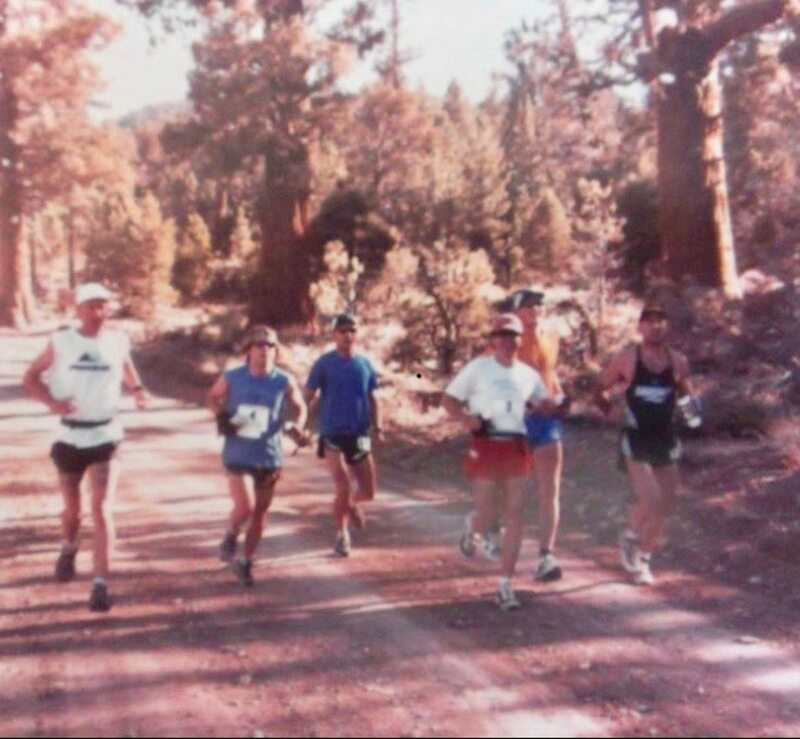 One of the first times I ran an ultramarathon out west was at the 1999 Holcomb Valley 50k at Big Bear Lake, California. It was a classic, old-school race held in the high country above the Los Angeles Basin every year in early June. In 1999, I was in pretty good shape going into the event and decided to take it out hard from the gun to see if I could hang with the big boys. After a few miles, I found myself tucked in with a leading group of Southern California ultramarathon luminaries Tom Nielsen, Jeff Kozak, Al Val Verde, Patrik Gunnarsson, and Ben Hian. While I had previously met most of this group, this was the first time I had met Ben and I was immediately struck by his presence. In the early and mid-1990s, Ben enjoyed cult-hero status in the Southern California ultra scene. Sporting large tattoos and a shock of surfer-boy blonde hair, Ben was hard to miss. Add to that his brash racing style and laid-back attitude and it was no wonder that Montrail made him their first-ever poster boy in 1995. A recovering addict, Ben was open about that fact that long-distance running gave him the necessary outlet for his inner demons and a place to channel his exuberance. As I got to know him during those few hours at the Holcomb Valley 50k, I quickly came to realize that Ben was the real deal. 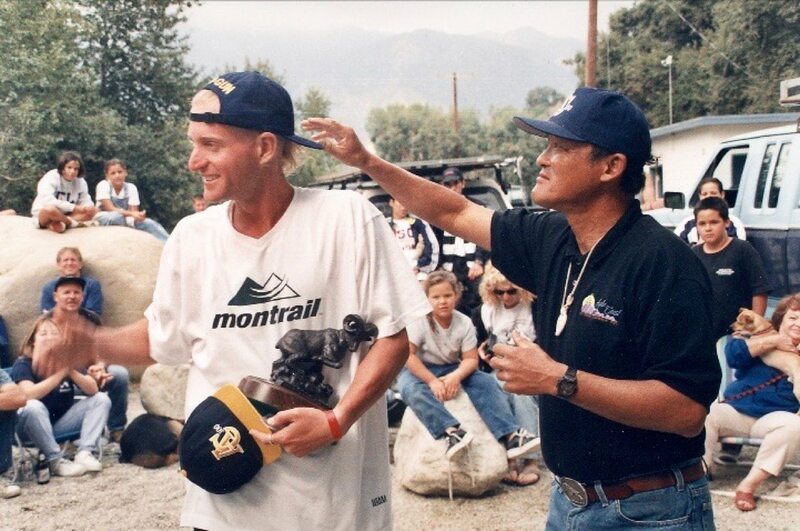 Between 1994 and 1999, Ben won seven 100-mile races including the Angeles Crest 100 Mile three times. Incorporating high-volume training weeks in excess of 150 miles and course-specific sessions designed to mimic race-day conditions, Ben ultimately came close-ish to Jim O’Brien’s historic course record at Angeles Crest. To this day, Ben and Hal Koerner are the only runners to come within about an hour of O’Brien’s record. Ben was also not limited to success in the mountains. In 1994, he set a then-12-hour American record of 88.25 miles and in 1997 ran a 13:42 100 miler at the Rocky Raccoon 100 Mile. And so it was that when he set his sights on the Vermont 100 Mile course record in 1999, most of the ultra world thought it was a foregone conclusion. But Mother Nature had other plans. On a day that saw the highest heat index ever recorded at Vermont, Ben took it out hard from the gun. He hit 50 miles in just over six hours and arrived at the 83-mile aid station in 10 hours. From there, however, things went horribly awry and he ended up dropping out with severe dehydration and heat exhaustion. He would not be heard from again in the ultra world for a decade. In 2009, Ben came out of nowhere and won the San Diego 100 Mile. Alas, his comeback would be short lived as he had a challenging recovery and ended up in the hospital with acute renal failure as a result. This was the second such time Ben had succumbed to kidney issues, having also struggled with them in the 1994 Western States 100. One would think, after those experiences, that he would be done. But, not so fast! Ben Hian is Ben Hian and so when I heard earlier this week that he had once again returned to ultrarunning with a third place finish at the Noble Canyon 50k last weekend, I couldn’t help but smile. It turns out that Ben, now 49 years old, has his sights set on returning to the big stage and will be running the Cuyamuca 100k in early October to get his Western States qualifier and perhaps find his way back into the historic race from Olympic Valley to Auburn. Back to Big Bear Lake and the Holcomb Valley 50k in 1999. Eventually Ben tied for the victory that day with Jeff and Al, and I slipped to sixth place. Hanging around the finish line with him watching the runners come in was one of the highlights of my running career and one of my formative experiences in the sport. And so it is that I will be cheering heartily from afar as Ben continues to evolve in his own way and on his own terms in this latest comeback to ultrarunning. 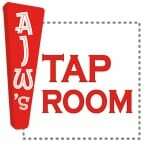 This week’s Beer of the Week comes from Ben’s native San Diego, California. 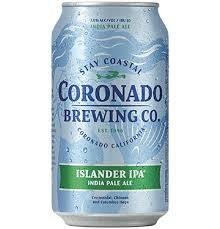 The flagship IPA from Coronado Brewing Company is their perfectly balanced Islander IPA. With just the right blend of citrus-ness and bitterness, this is a classic West Coast IPA that tastes like a true IPA. What can you tell us about Ben Hian? Have you raced with him? Have you sat on race sidelines with him? Trained with him? Share your stories in the comments section. The 2 guys that came in ahead of him last weekend would’ve been learning to drive on the day he won his last AC! Stories like this are why I love this sport. My kid took part in a ‘Reptile’ themed day camp at the Y this summer once he was out of school. 5 days, Monday through Friday, I’d drop him off and my wife picked him up. On the final day Friday I picked him up and sat down and looked at some of the materials from the camp and saw the name ‘Ben Hian’…I said to myself how do I know that name? I’d run Lost Boys 50 earlier this year and looking over the ultrasignup stats, I was like….could it be? I pulled up some photos online and asked my kid, do you recognize this guy? My son was like ‘Yep, that’s ‘Mr. Ben’. Didn’t get a chance to say hi or anything but I couldn’t help but think how awesome it was this ultrarunning legend had been teaching my kid all week long and I didn’t have a clue. Its fascinating to me all the parents and families that probably interact with him and have no idea what this guy has done or is capable of. I guess that’s ultrarunning though! I tip my hat to you ‘Mr Ben’! Hey Trevor, thanks for sharing that great story about “Mr Ben”. I remember when Ben quit his PE teaching job to go into reptiles full-time. In the early they apparently took up occupancy in his garage. Good stuff! This is a wonderfully written and thoughtful story. Great story! I’ve never raced him, but enjoy a walk or hike with him whenever possible. I continue to be amazed by my nephew! My dad ran/raced with Ben in and around San Diego and Mount Baldy in the early 1990’s right when Ben was beginning ultras. One of his memories he has shared with me was of the now defunct Baldy Peaks 50k in 1993. Was a 50k around Mount Baldy in Southern California. My dad and Ben finished in 5th, the only reason my dad was able to be up in Ben’s league for that race was because he was unfortunately suffering with altitude related sickness throughout the whole race. He was happy to see Ben have so much success. What an honoring story for a very gracious man. Having known Ben for a long time and having trained with him In the predawn hours in and around San Diego County, it’s an honor to call him a friend. He was kind enough to give our son a private tour of his reptile collection a while back. Thank you for the years of training and encouragement Ben. Happy trails to all. Best of luck Saturday at Cuyamaca! AJW, very nice article and glimpse of Ben’s endurance career. I’ve had the pleasure of running many miles with him he’s always a gracious and supportive resource for all. BTW last weekend his goal was to cruise the race and qualify for Cuyamaca, his time goal was 5:15. He finished 5:13, how’s that for pace management? Long may you run my friend. Wow, a blast from the past. Great guy, raced Tri’s with him before he turned to ultra’s. I remember my first and last 50 miler which Ben won and then ran backwards on the course to pace me for the last 2 miles so I could get a qualifying time for Western States. Does he still have a house full of snakes? Had the pleasure of training with Ben from ‘93 to about ‘96. One of his favorite routes was running up and down (and up again) Palomar Mountain from the backside off Route 76. The guy could run full tilt and carry on a lengthy conversation while running uphill! I raced western in ‘94; never knew Ben experienced rental problems there. The guy is so humble he never mentioned it. GodSpeed Ben! Thank you for your tenacity and endurance. You give us old dogs something to hang on to. I’m originally from So Cal and started running ultras in late 2007. I’m a marker researcher/statistician so I “geeked” out on all local ultra race stats. Ben Hian had his name planted on so many records and wins. I was astonished, but simultaneously bummed because I noticed he hadn’t logged a result for a decade. And then, two years later in 2009, he wins the SD 100! I was (and am) still hoping for a chance to shake his hand at a start line somewhere (hopefully Western States next year!) What a great story and human he is. AJW – of all the great columns in irunfar, these ones are my favorite by a landslide. I just can’t get enough. Exceptional journalism/storytelling of our heroes. Kudos and PLEASE keep them coming (I’m hoping one day you’ll chronicle my greatest hero Jorge Pacheco).